Product #46363 | SKU 16310732 | 0.0 (no ratings yet) Thanks for your rating! 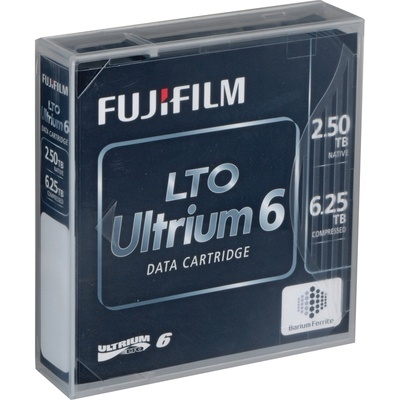 The LTO Ultrium 6 Data Cartridge from Fujifilm is a rewritable adaptable open tape format developed for mid-range data storage and server environments. Its dual partitions can be independently accessed for data management. The Linear Tape File System (LTFS) gives the tape the ability to be self-describing allowing you to manage your files directly on the tape. The AES 256-bit encryption capability secures and protects your information. The LTO6 cartridges have a long archival life and can be used with older cartridges and drives.